Before there were bongs, there was water, before there was water, there was sound. 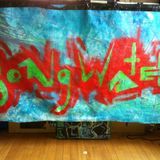 The Bongwater trifecta (JayWho, Drkwtr, Halal Beats) encompasses a broad span of musical soundscapes with strong influences from Jazz, Funk, and Rock. 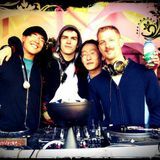 Known for their creative transitions, these three compile sets of just about everything musical - stitched together as a wonderfully orchestrated mashup of Downtempo, IDM, Hip Hop, Trip Hop, Electronica, and Experimental - and even some things not musical - a Monty Python quip here, an inspirational message there - perhaps a reference to the almighty bong? Enjoy the swim - the water&apos;s great!